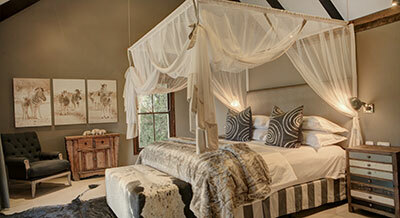 Lay your head on a pillow cloud and drift off to the distant sounds of lions roaring. 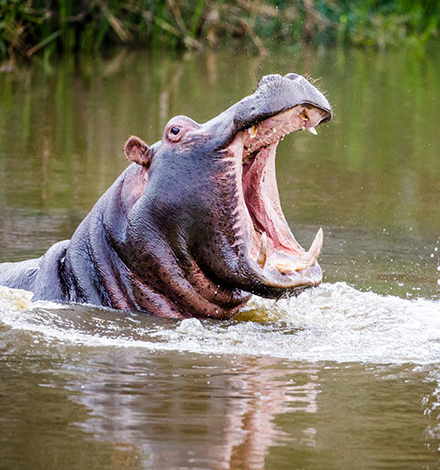 Or hippos grunting, seemingly outside your expansive windows. 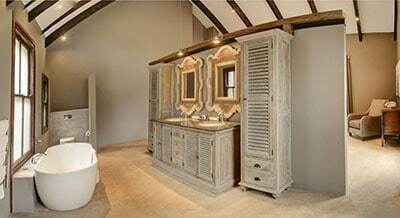 Tucked away in a remote northern corner of this fynbos-bedecked 4,200 ha private Reserve, with access to Villas via Great Brak River, most of these beautiful Bush Villas overlook an expansive, active waterhole frequented by wildlife visitors of many kinds. Villas are packed with all the luxury touches one could ask for including en-suite bathrooms complete with guest amenities, bathrobes, and slippers, a fully–equipped kitchen including a dishwasher, dining area, air-conditioned lounge with a TV, indoor and outdoor fireplaces, and most Villas have a private plunge pool. Sliding glass doors open up to an expansive, furnished deck offering a spectacular view. The Villas are serviced daily, but if you’re not up for preparing meals at any time, the Village Lodge (7.3 km away) is open to all Villa guests for meals and activities. (Please note reservations are essential.) 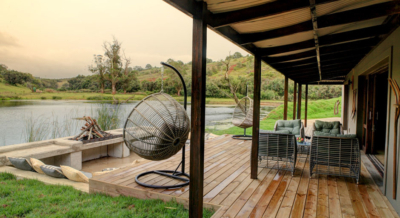 You’re also welcome to use any of the facilities and activities offered at Botlierskop Day Centre and Bush Spa – an easy 27 km drive along a scenic road or book a Botlierskop transfer through the Reserve (15 km). Children are welcome at the Villas but adult supervision is advised at all times. There is no playground or restaurants on site as at the other lodges so we advise you to shop before arrival. 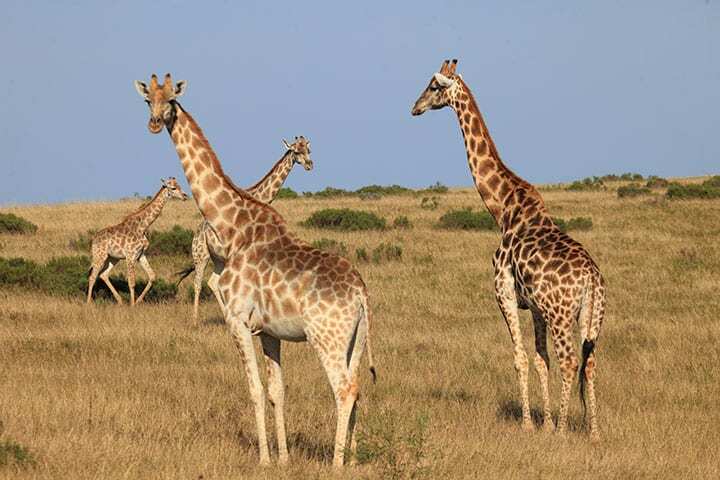 Only a single-strand electric fence separates each Villa from the free-roaming wildlife that surrounds it. Every thoughtful touch and convenience has been included to make your stay as pleasurable and as memorable as possible. 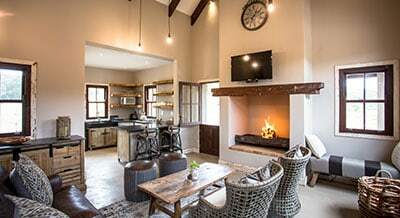 Villas can be booked on a self-catering basis and Guests are welcome to book any additional activities at Botlierskop or nearby attractions. 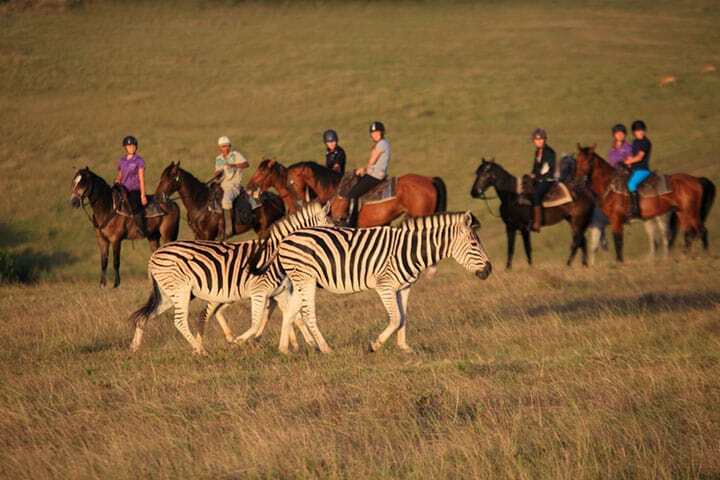 Daily transportation to and from Botlierskop through the reserve is available at additional charge of R250 per vehicle ~ please book times with reception. Kindly note Check in is at 14:00 and Check out at 10:00. No self-drive are permitted on the reserve. 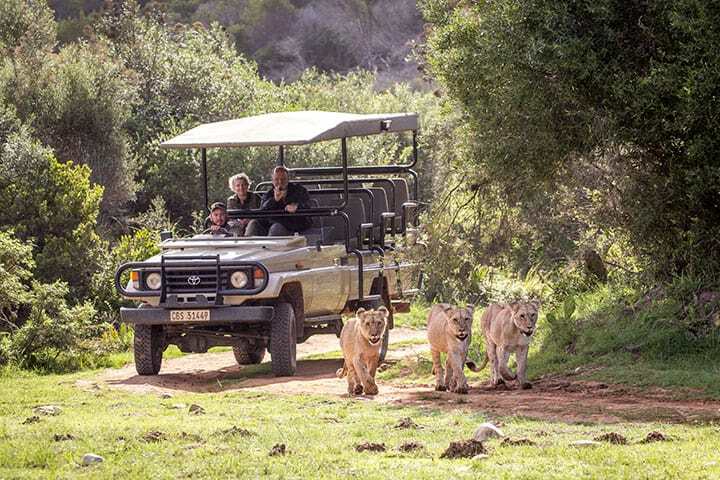 Activities that departs from the Bush Villas includes guided game drives and bush walks and junior ranger programs More activities on offer depart from Botlierskop Day Visitor Facility (amount 20 min transfer through the reserve by your guide) and includes a visit to the Bush Spa with various spa treatments as well as horseback safaris. Villa guests can also have lunch at the restaurant or enjoy the leisure facilities here. For guests self-driving to our Luxury Bush Villas, check in is at 14h00 on day of arrival and check out is at 10h00 on day of departure.